[Rocky climbing in Boulder Canyon. Photo: Steve Hicks] When you hear the name, Boulder, Colo., you can’t help but conjure up thoughts of larger rock formations of staggering heights, both smoothed and carved – perfect for climbing. 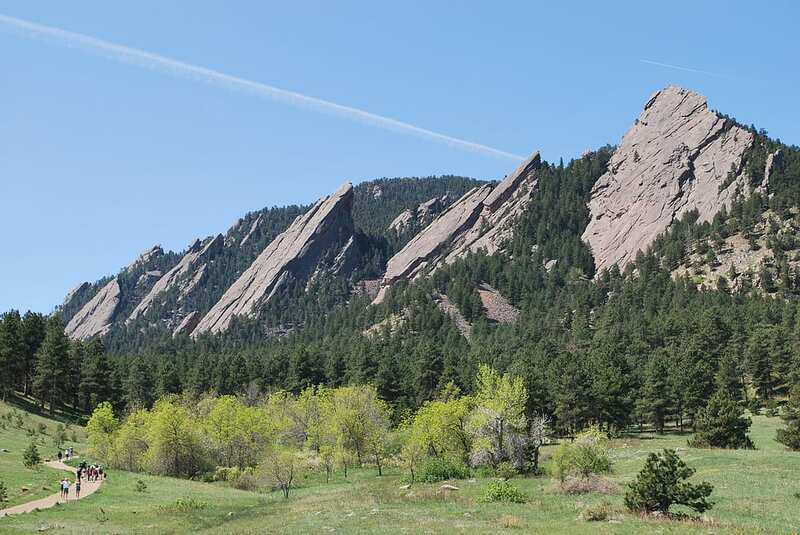 Well, that’s just what the town of Boulder is, from the pronounced Flatirons that greet you as you enter the town to Boulder Canyon, it’s a mecca for rock climbing and bouldering. There’s a reason why so many flock north on Highway 36 from Denver for their vertical adventures. Boulder County is a hotbed for a variety of rock such as granite, Dakota sandstone, and quartzite – just to name a few. Climbers will also find a variety of disciplines to challenge themselves with, from sport and traditional to bouldering and even ice climbing. No matter your climbing style or ability, Boulder, CO offers plenty of opportunities to seek new heights and gain new perspectives with plenty of excellent options. Here are a few we think are worth a mention. Minutes from downtown, Boulder Canyon offers a varying collection of granite playgrounds along a windy 12-mile road. With a mix of sport, top rope, and trad climbing, plus stunning scenery, it is easy to see why this area one of the favorites for locals and visitors alike to climb. Crags are easy to come by and are accessible via multiple pullouts along the road. 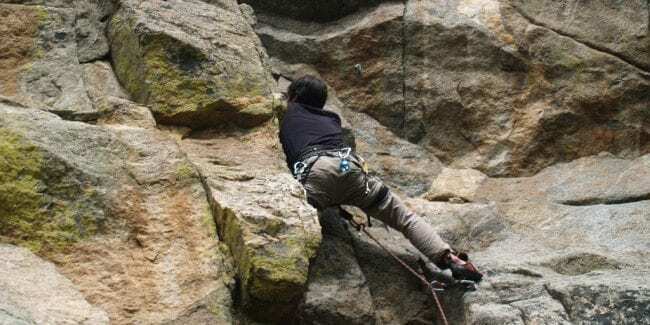 The rock type is granite, and mostly textured but smooth in other places, so it is important to wear technical climbing pants that are well-designed, versatile, and breathable. 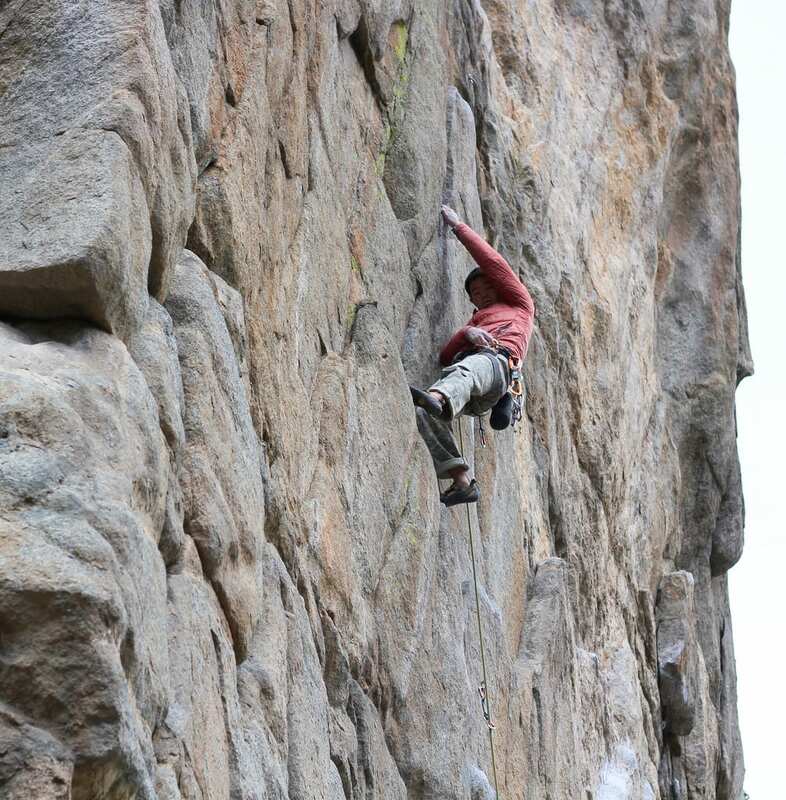 A nearby canyon, known as Dream Canyon has also become popular for climbing parties. Offering a good variety of sport and traditional climbs, you will find a majority of the climbs at the Lost Angel route and Dream Dome. 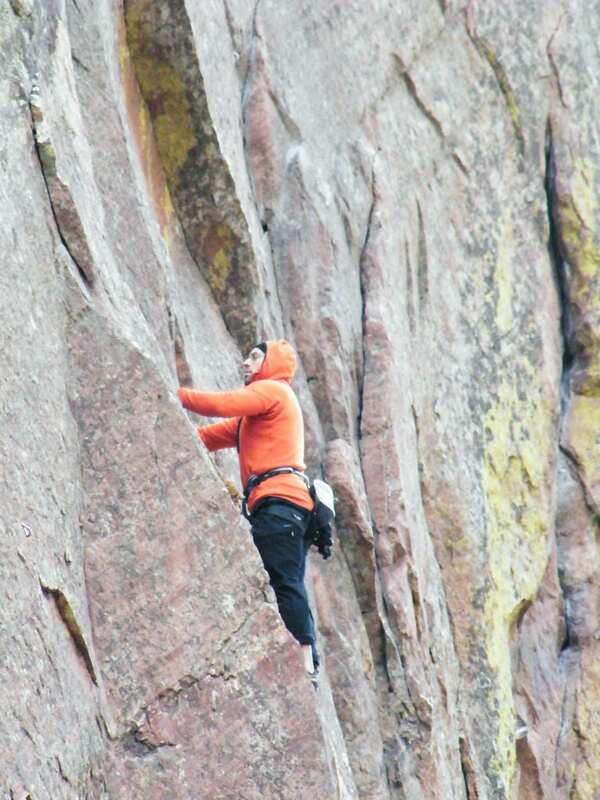 As one of the finest specimens for rock climbing in Colorado, Eldorado Canyon State Park is a well-known spot for vertical adventure seekers. It’s home to one of the most accessible and complete rock climbing areas in the world. With sheer rock faces of brilliant Fountain Formation sandstone standing up to 700 feet tall, it is easy to see why this area is a favorite amongst the climbing community. This state park consists of two distinct areas, the Inner Canyon and Crescent Meadows (the underdeveloped area). There is ample opportunity for beginners to improve their confidence level while there is plenty of chances for the more experienced climbers to test their skills. From the largest cliff in the park – Redgarden Wall to beginner routes such as Calypso and Wind Tower, there is something for everyone to enjoy. The north includes traditional rocks like what you will discover in the Amphitheatre in Gregory Canyon. Climbers will find shorter sport routes and longer trad routes that will bring you close to unforgettable views. The central area stretches from Bear Canyon to the Ironing Boards. Here climbers will find a decent amount of trad and a little bit of sport climbing. Finally, the south region offers the longest climb in the area and is also home to approachable slabs for beginners. With its breathtaking scenery and a multitude of climbing areas, Boulder, CO is the go-to for those seeking a thrill on the rock. So, grab your climbing packs and scale the walls of some of the most epic routes in Colorado. Jessica is a writer and photographer based in Denver, CO. She spends her time traveling the world and exploring the beautiful state of Colorado. She has a passion for well-written stories, gorgeous photography and bringing these two together. When she is not working in the city you can find her in the mountains either hiking, backpacking, biking or running. Connect with her on Instagram or Facebook @jlhindesign.